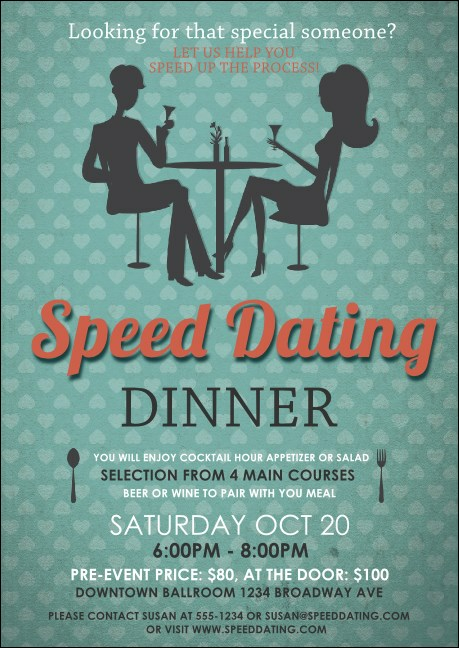 Folks looking for love will save the date of your matchmaking fete when they receive a Speed Dating Postcard by post! Layered with appealing details and typeface, this pretty design delivers your event information with class. There’s fourteen available text lines for you to fill with pertinent details, and, once customized, we’ll print in color on top-quality card stock. Reach out to your guest list with professionally printed and designed postcards from TicketPrinting.com!